 Marketing the Law Firm: Business Development Techniques examines how marketing can improve client satisfaction and increase the bottom line for both corporate and consumer practices. 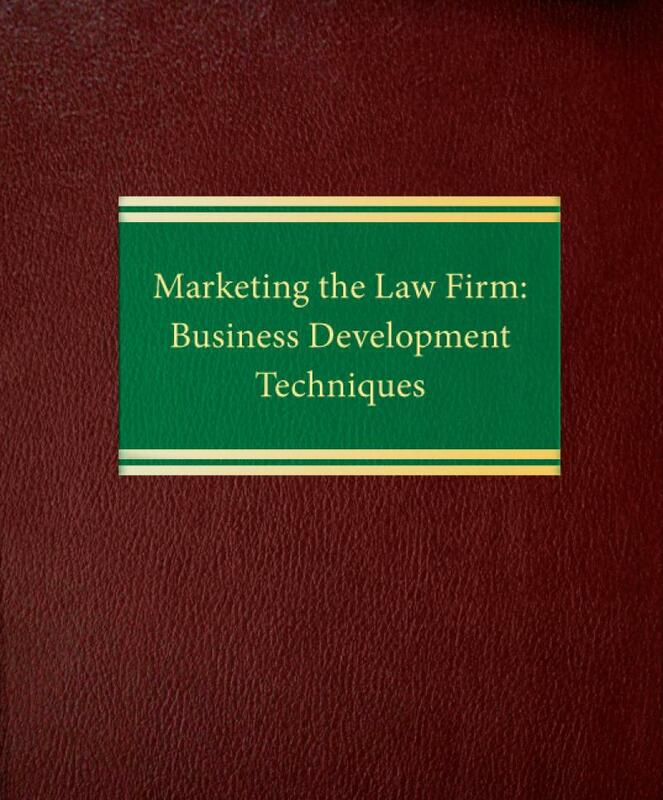 Marketing the Law Firm: Business Development Techniques is filled with case studies and examples of real law firm situations to help you put these tools and techniques into practice—and use them effectively. You'll find out how to: make realistic, long-term marketing plans for the firm, practice groups or individuals; market online; market a new capability; cross-sell your firm's services; create an "alumni" relations program; discover new business opportunities through market research, charitable contributions, and sponsorships; use flat fees as a billing alternative; train your lawyers—and your support staff—to be good marketers; surmount marketing obstacles; budget for marketing time, expenses and compensation; and measure the effectiveness of your marketing efforts. You'll also get up-to-date information on Web sites, extranets, client advisory boards, niche marketing and the uses of intranets. 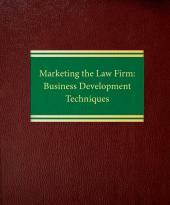 An appendix provides law firm marketing resources, including organizations, publications and studies.